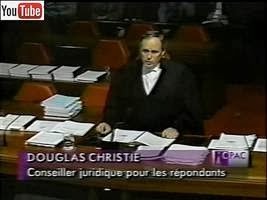 [Nov 9 1998 ] Doug Christie exposes the attacks on freedom in Canada. Doug discusses the Presslers case and 'Ritual Defamation', which is a tactic used by the enemies of freedom to destroy their opponents. Ritual Defamation is a time tested method to destroy people. 1: Attack the individual constantly, 2: Attack anyone who defends them, 3: Attack the family breadwinner (so they can not defend themselves). Doug Christie goes on to discuss the Canadian Security "Intelligence" Service and how the state persecutes peoples. 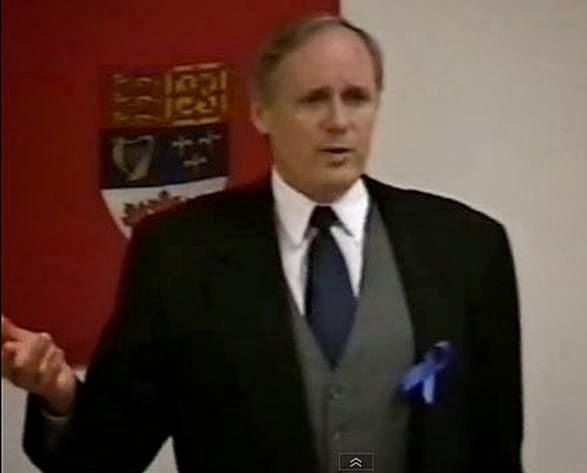 CSIS "makes McCarthyism look like Mickey Mouse"
[Nov 25 1988] Doug Christie Speaks in New Brunswick on the importance of freedom. The power of the state has grown out of control to censor people. The government now controls and manipulates the media which leads to a limit on freedom of speech. 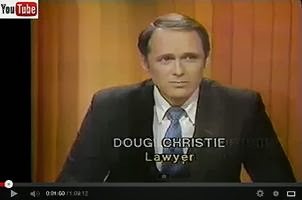 Doug Christie Speaks about Zundel Appeal and freedom of speech in the Canadian Court system. This speech was given on Jan 25 1986. 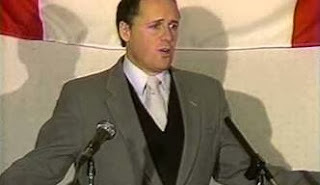 [Feb 4 1995] Doug Christie exposes CSIS Agent Grant Bristow, who infiltrated the Heritage Front and Reform Party of Canada. 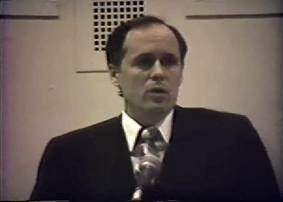 The Bristow case showed how the Political powers in Ottawa (Liberal Party of Canada) used spies to attempt to embarrass political parties (Reform Party). The Liberal government then whitewashed the entire affair through Bob Rae and the Security Intelligence Review Committee (SIRC) which issued a report called "The Heritage Front Affair". Interesting, Grant Bristow tried to get information on the Imre Finta case from Christie. Bristow even tried to give advice on certain jurors and which ones he should object to. Doug Christie gives the inside story about the David Irving ban in Canada and what happened. 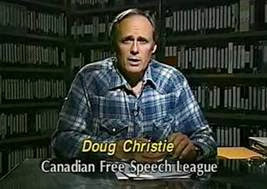 [October 15, 1997] Doug Christie’s message to the Canadian League of Rights on their 50th anniversary. During his speech, Doug Christie exposes the Canadian Security “Intelligence” Agency as Canada’s political police and their little corrupt brother, the Canadian “Human Rights” Commission. 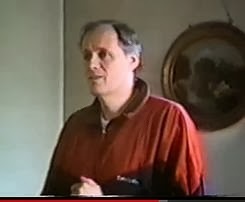 Doug Christie discusses the firebombing on Ernst Zundel’s house, where CSIS agents claim that the “ARA firebombed Zundel”. The CSIS agents describe the ARA (Anti-Racist Action) group as “a collection of anarchists, Trotskyites and Stalinists”. Doug Christie describes how CSIS and other enemies of freedom use tactics of oppression to attack their enemies. The tactics are three-fold; firstly they isolate the people, then alienate them and finally criminalize them. 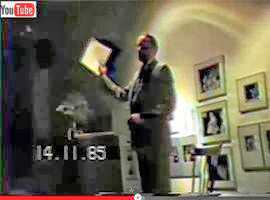 (1984) This is a very historically significant video! 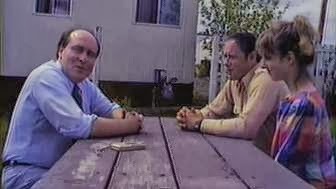 The video was filmed in Eckville, Alberta prior to the James Keegstra trial for thought crimes. 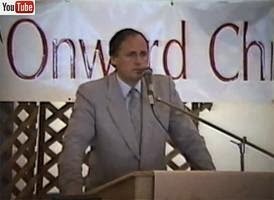 This is the very first time Douglas Christie and Keltie Zubko met Ernst Zundel. Mr. Zundel videotaped the meeting. It is really an eye opener to see how motivated for freedom Doug Christie was in those early years. The James Keegstra case would have been Doug Christie's first controversial case which involved allegations of so-called "hate" speech, under Canada's pernicious criminal "hate speech" prohibition - Section 319 of the Criminal Code. (the Keegstra case went all the way to the Supreme Court of Canada. 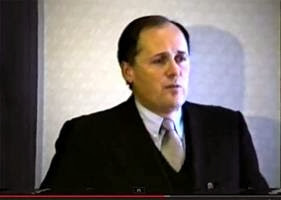 Interestingly, Doug Christie went on to represent Ernst Zundel under a similar thought control law and after a huge legal fight, the notorious "false news" law in Canada was thrown out by the Supreme Court of Canada and wiped from our law books. 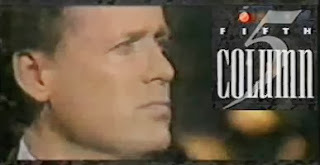 This video shows a young Doug Christie with fire in his belly for freedom and willing to stand up to the horde of censors that lined up to get a shot at James Keegstra. This is vintage Doug Christie, Ernst Zundel and Keltie Zubko! [October 16, 1997] Doug Christie: Free Speech is the Issue! Doug Christie explains the importance of freedom and why it is so vital for society. 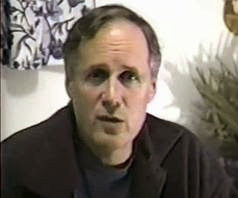 Doug also documents the various state-funded and state-sponsored enemies of freedom such as apparatchiks from the Canadian Human Rights Commission, police agencies and so-called "spy" agencies like the Canadian Security "Intelligence" Service (CSIS), whose paid agent - Grant Bristow (now called Nathan Black) bankrolled and setup the Heritage Front. [January 23 1998 - Toronto] Canada is living under unprecedented state control, which is reminiscent of the Soviet Union (from alleged "war criminals" being tried in secret hearings to book burning by the Canadian government). Doug explores the kangaroo court process behind Canada's banned book list and how the state actually burns books which are "prohibited" to import into Canada. [Oct 29, 1995] (Ottawa, Ontario). 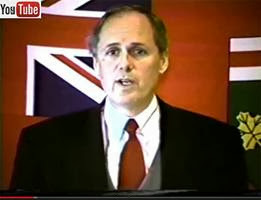 Douglas Christie speaks about the dangers to freedom of religion in Canada. This speech is about the case of Teacher Malcolm Ross and the Human Rights Inquisition which followed because Mr. Ross wrote a few books on religious topics. Mr. Ross never brought any of his views into the classroom, but that mattered little to the Human Rights Fanatics that were destined to destroy him. 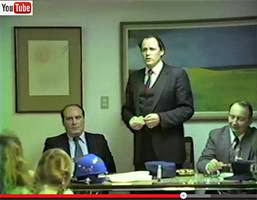 This speech was given on the eve of the Supreme Court hearing on the Malcolm Ross case. [March 21, 1998] In 1998, an Internet Service Provider (ISP) in British Columbia was under fire to censor content on his webservers. 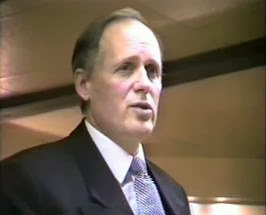 The ISP – Fairview Technologies – was run by Bernard Klatt. Mr. Klatt took a firm stand against Internet censorship, and felt that as an ISP he did not have any expertise to identify what constituted so-called “hate speech” nor does he have any ability to censor dynamic content. (PS: not a single person who posted content on Mr. Klatts webserver was ever charged with criminal “hate” in Canada) As a result of some agitators from Toronto who claimed that Oliver BC was the “hate capital of Canada” there was a huge media blitz. In response Mr. Klatt organized a meeting in Oliver to explain his position and invited several guest speakers to discuss freedom of speech on the Internet. Amongst those invited to speak was Douglas Christie. Unfortunately, Mr. Christie was due in court to defend a client, he was unable to attend, but recorded a short video discussing the importance of freedom of the Internet. This video is classic Doug Christie and has never been publically shown, because the Toronto agitators managed to get the City of Oliver to cancel the townhall meeting location. 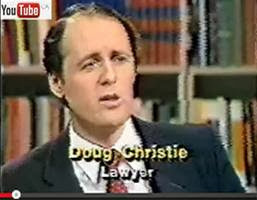 This video has a few news clips at the beginning which sets the stage for Doug Christie’s eloquent defence of freedom. 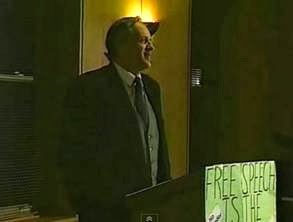 [Toronto, Feb 22, 1986] One of the most powerful speeches by lawyer Douglas Christie on freedom and the war against freedom of thought and speech. After listening to this speech, you will believe and understand in the value of freedom and as Doug said "you will never never surrender!". 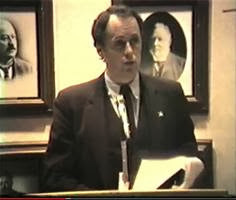 Doug touches upon the James Keegstra and Ernst Zundel cases and the fight against the totalitarian regime in Canada, which thanks to the Duschenes Commission (so-called War Crimes commission in Canada) evidence from the Communist Soviet Union would be accepted after demands by Canadian Jewish Groups (B'nai Brith, ADL and others). Paul Fromm introduces Doug Christie.